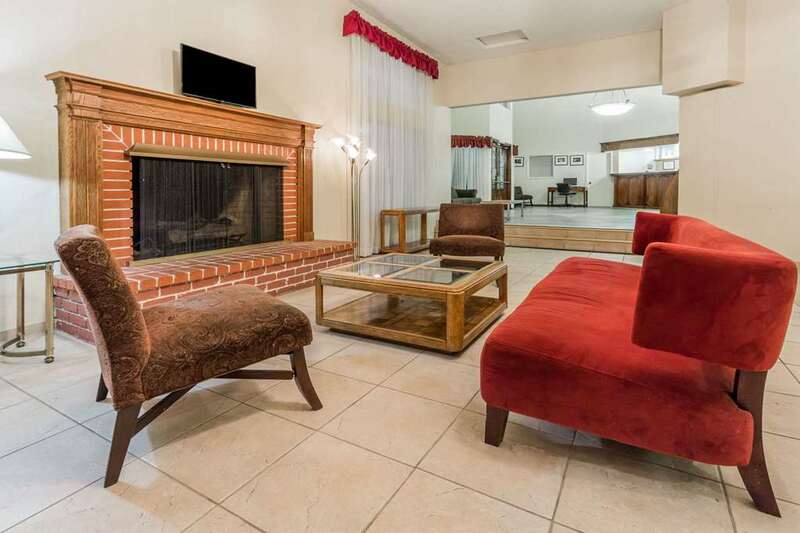 The Ramada Vallejo Near Six Flags Discovery Kingdom hotel is conveniently centered between two of the most exciting tourist attractions in the world- San Francisco and Napa Valley Wine Country, both less than 40 miles away. Vallejo itself boasts Six Flags Discovery Kingdom, an exciting attraction with both land and sea animals along with some of the most exciting roller coasters in existence today. Our hotel is a proud partner with Six Flags Marine World and we offer hotel and park packages. At the intersection of two major highways - Highway 37 and I-80, our hotel is easily accessible to travelers. With our excellent location, our hotel is close to everything you may be looking for. We are uniquely located in the middle of two shopping centers featuring all types of cuisine, movie entertainment, shopping and banking. Our pool and spa are enjoyed year round and our calm temperatures afford for many days of enjoyment. Hotel guests are greeted with an extensive complimentary continental breakfast each morning and every Wednesday night we feature the managers social with delicious complimentary entrees and beverages. We offer free parking onsite and complimentary High Speed wireless internet, Microwaves and Refrigerators, Iron and Ironing boards, Coffee Makers and Hairdryers in all our rooms. At Ramada Vallejo we strive to provide a comfortable, friendly atmosphere that stresses prompt and caring service for each and every guest. Pets are welcome with 50.00 non refundable fee. Handicapped Rooms/Facilities. Business Center. Property requires a cash or credit card deposit of 100.00 USD upon arrival.